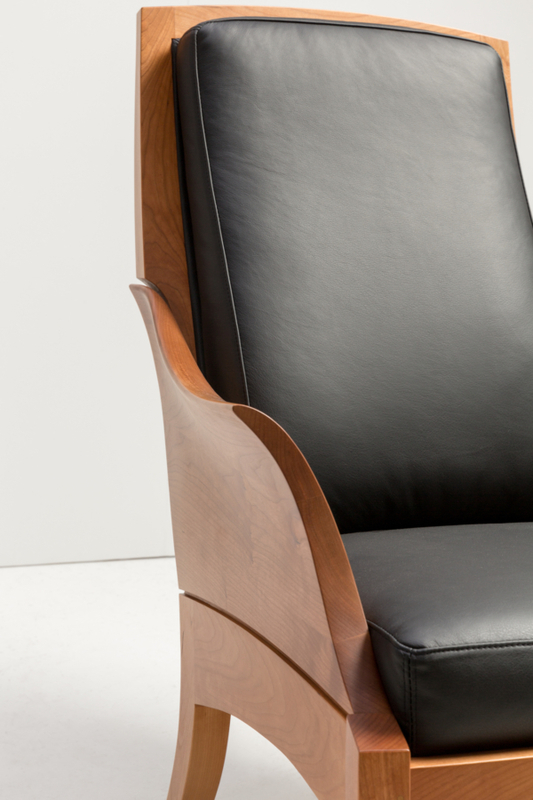 With curved arms sculpted from blocks of grain matched wood, the Wing Chair marries our handcraft and hallmark aesthetics with true comfort. 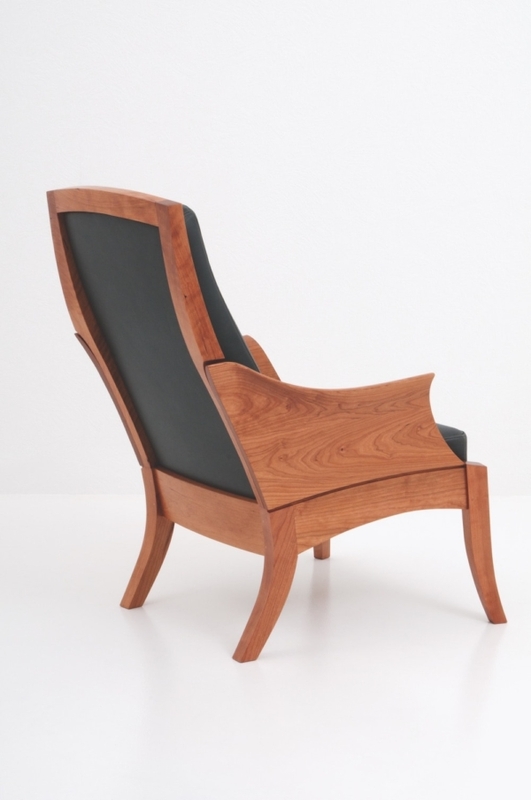 Tracing its lineage back to an 18th-century Queen Anne chair, the Wing Chair brings new relevance to old forms, coaxing solid cherry into freestanding art. The Wing Chair is the satisfying result of artfully integrating both wood and upholstery to create a piece that both complements and defines the space it occupies. 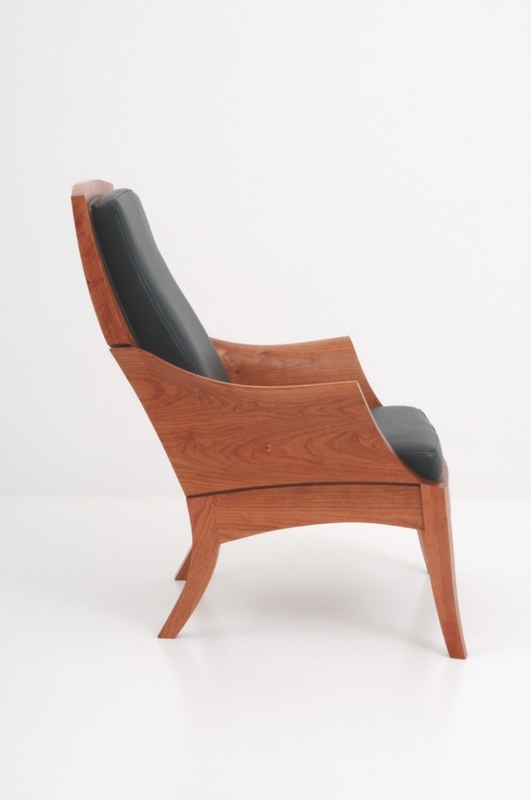 Shaped to cradle the sitter’s spine, the frame of the Wing Chair would be comfortable in its own right. 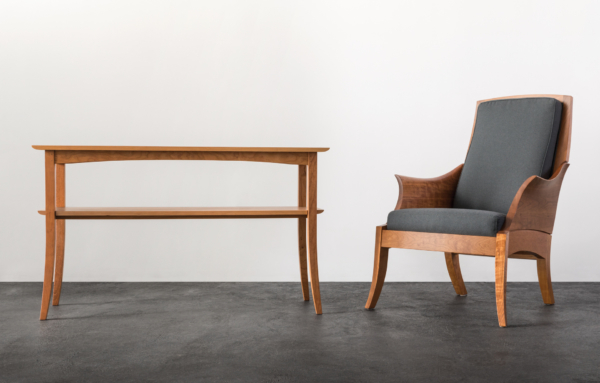 Made of carefully hand-finished cherry or walnut, the arms and back highlight the wood’s dense, beautiful grain, while providing ample ergonomic support. 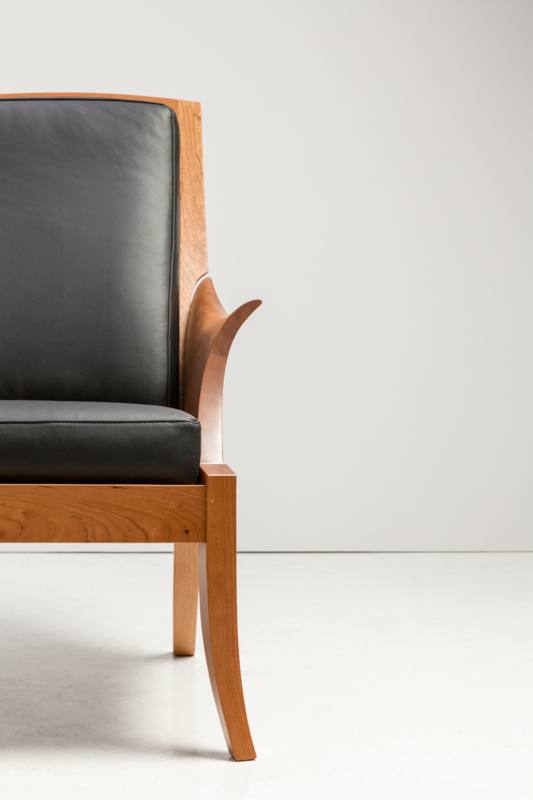 The gentle curve of the legs makes welcome use of space, elevating the seat to its ideal height. 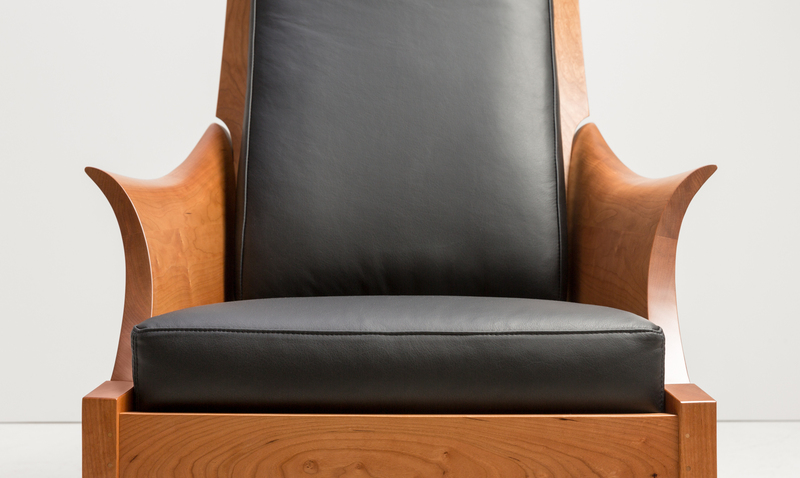 The addition of upholstery adds to the comfort of the Wing Chair. 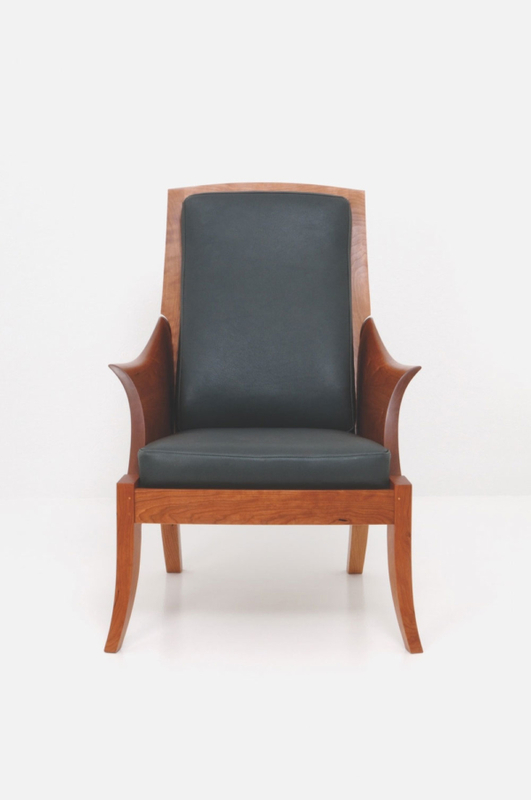 Carved wooden armrests gently fold over at the right height and are sanded smooth to the touch. Four-inch-thick cushions are covered and welted in the fabric or leather of your choice. 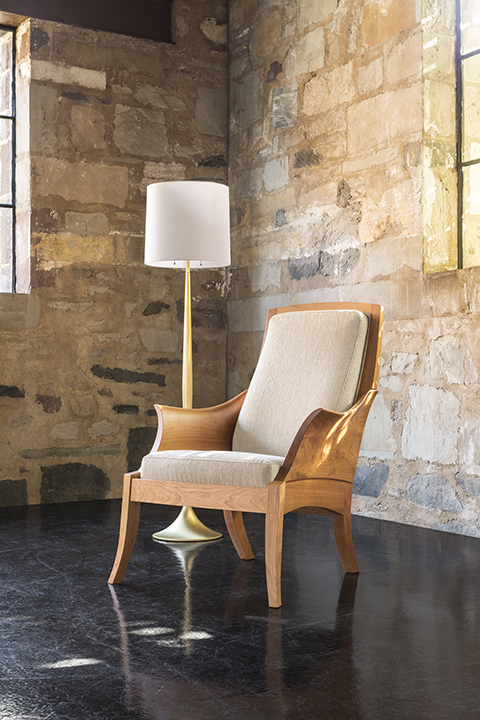 Ideal for hours of relaxation, the Wing Chair pairs perfectly with the matching Wing Ottoman.